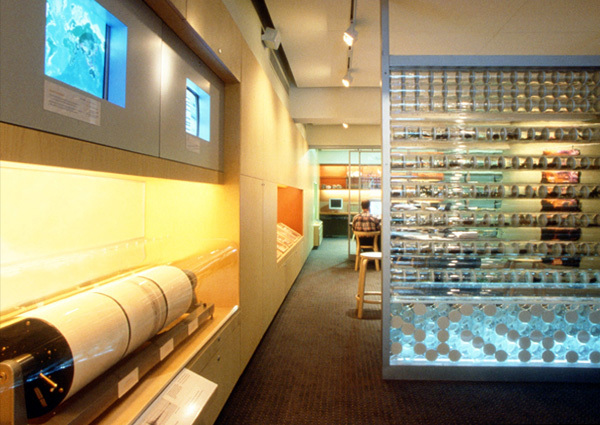 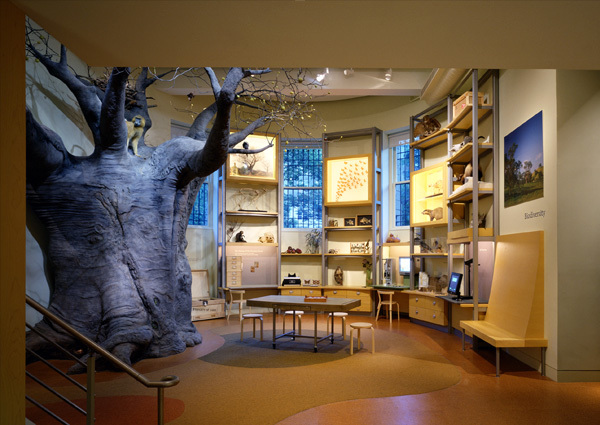 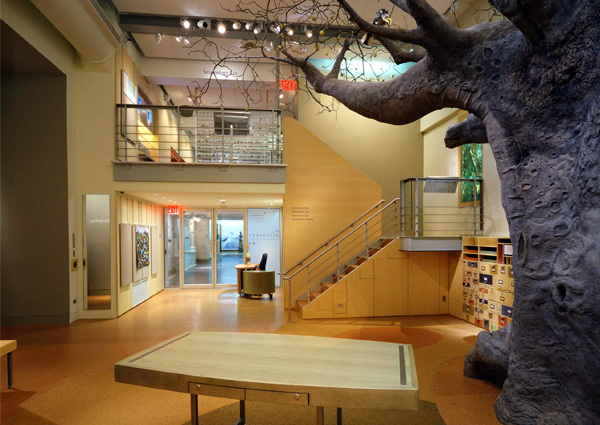 The commission to design the Discovery Center for the American Museum of Natural History outlined a program for 2,500 square feet of interactive educational space representing all major sciences, from anthropology to astrophysics. 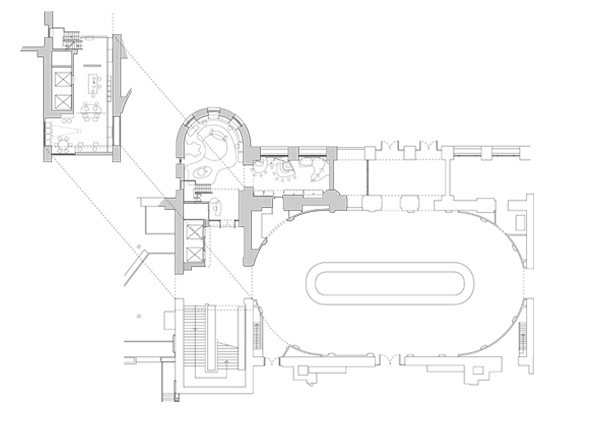 The project consisted of joining three different spaces into a coherent event: a circular room with 20-ft ceilings, the base of one of the 19th century turrets, a long narrow rectangle of a space, and a mezzanine space that slips between the main stair and adjacent Hall. 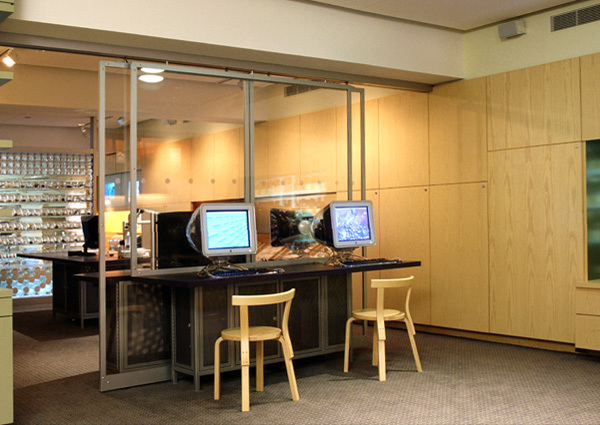 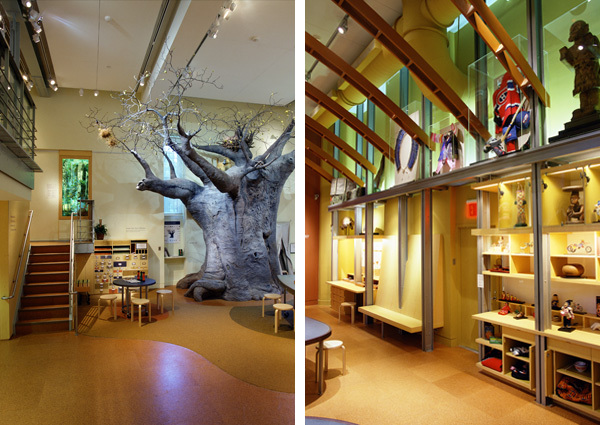 The main level is primarily organized as object-based learning for children 3 to 10 years of age; the mezzanine is also object-based, with advanced technological tools aimed at children 10 years of age and older. 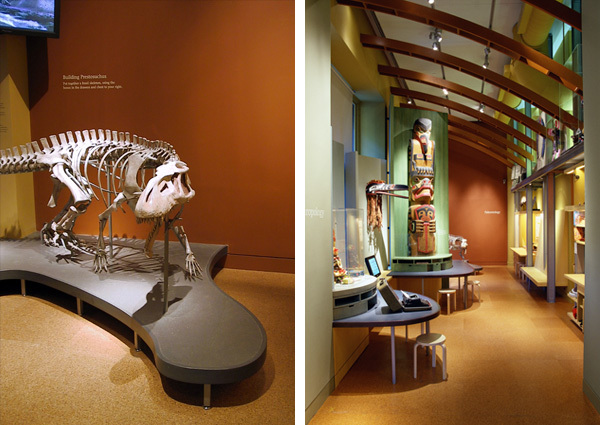 Knitted together from disparate spaces, the design creates an intimate and carefully choreographed learning experience within the large complex of the museum.